What Is the Impact of GMOs, Synbio, Nanoparticles On….? Synbio, an extreme form of genetic engineering, could destroy rural livelihoods, especially those that depend on high value crops like vanilla. Nanoparticles may have less of an economic impact, but are much riskier in terms of health. 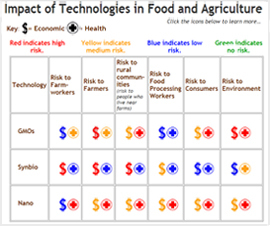 Our new technology tool looks at the risks and impacts of GMOs, synbio, and nanotech on farmers, workers, consumers, and the environment. They call it the Safe and Accurate Food Labeling Act. We call it the Deny Americans’ Right to Know (DARK) Act. This is the bill that would pre-empt states’ rights to enact GMO labeling laws. We are in an era where consumers want to know more about their food, how it was grown, and if it is safe. The DARK Act would be a step backward and goes against the values of the good food movement. Yet the House has taken the first step to usher it through Congress and will take a vote very soon. We need to shed light on GMOs and their impacts, not keep them in the dark. Tell your Representative to Vote No on HR 1599! Take Action: Let’s Magnify Our Voices and Show Support for Raising the Minimum Wage! July 24th will mark 6 years from the last time the federal minimum wage has been raised. In the last 6 years, prices on lots of everyday items and basic needs like food and housing have gone up, but millions of low-wage workers earn $7.25/hour, a poverty wage even at full-time hours. The Raise the Wage Act would raise the minimum wage to $12/hour and gradually bring the tipped wage in line with the regular minimum wage. A stretch of La Pasion River in Guatemala 100 kilometers long is the site of a major environmental disaster. Thousands of fish have died along the stretch. The immediate cause is the presence of melathion, a pesticide used in agriculture. 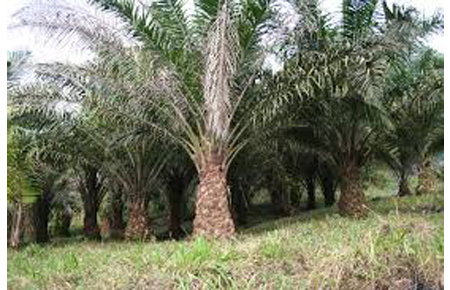 The source, palm oil plantations and the Repsa company, a large oil palm processing company with a history of labor discontent and environmental problems. US may upgrade Malaysia’s status in Trafficking in Persons report not because their human rights record has improved, but because the upgrade benefits President Obama’s TPP agenda. Street vendor permits in New York City stagnant, giving edge to Big Food over small-scale entrepreneurs (video). Farmworkers in the US endure harmful conditions and abuse to feed the nation.